Last week, one of our clients told us about a recent hire. The candidate in question was top-notch: Ivy-educated, willing to work long hours, thoughtful and outspoken around the conference table. And that was that. Another highly-qualified female struggling to figure out how to balance children and work. Despite flexible work spaces and “work from home” incentives, 51% of women still think it’s hard to balance work and family v. 16% of men. Many of them like their careers and when surveyed, 75% say they prefer to work. But often, when confronted with just how difficult it is to “try to have it all,” women succumb to the pressure to “put family first.” And unlike for men, where “family first” means have a good job to provide for the family, for women, that really means “get home to the kids”. How can we help working mothers remain in their jobs? We need to help them reframe their assumptions. 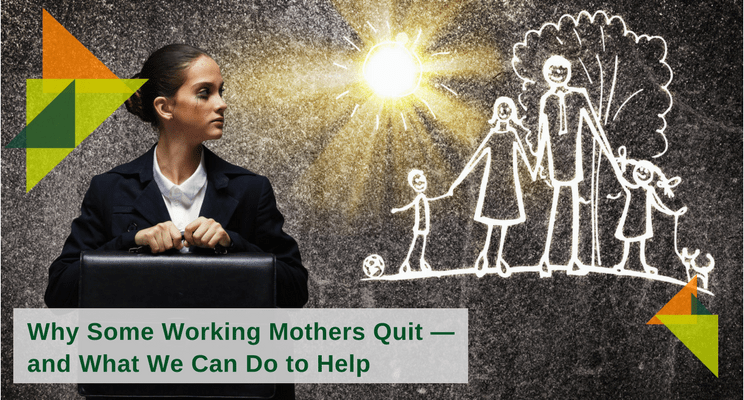 When women assume their primary role is to tend to family and their careers shouldn’t matter as much, it is very easy for them to become derailed when life at home gets harder. But when the messaging around them changes to support their career choices, to encourage them through the hard times, and to remove the perceived disconnect between their parenting and working roles, women are more likely to stay. Companies can initiate an honest conversation about the challenge of balancing work and home life. Having new parents on your team is a chance to be candid about the challenges inherent in balancing work and home life. 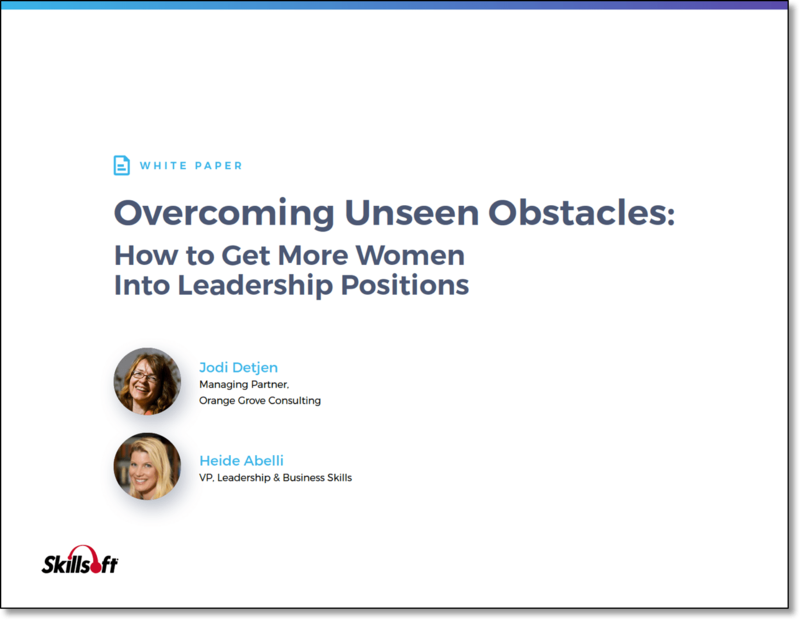 It is a great time to confront biases and encourage women AND men to share openly about the tricky business of caring for a family and building a career. Companies can build a safe and supportive community. The reality of the modern workplace is that many of us spend as much time with our coworkers as we do with our families. The birth of a child is not the only milestone we will share. Births, eldercare, deaths, marriage, divorce . . . triumphs and tragedies all find their way into the office. Rather than encourage silent suffering or quiet jubilance, we should teach our teams how to support one another for the common good (and the bottom line). Companies can cultivate shared values to inform the work people do together. Perfectionism in everything we do? Let’s learn to do some jobs “well enough”. Cut-throat competitiveness and capitalizing on one another’s misfortunes? Instead, problem solving together helps us all. Admitting we need help? This is no longer a gesture of weakness, but a sign of a well-adjusted worker who understands limits and overload. We need these checks on burnout to keep our finger on the pulse of the health and culture of our offices. Talented women often feel a disconnect between their home and work roles. They also hear loud cultural messages that raising the family is their primary job and that doing so will have only a negative impact on their work. Many of them question having jobs they love because they—and we—feel they can’t possibly do both. But within the workplace, we have an historic opportunity to create honest and family-friendly environments at a time when working parents need us more than ever. What can companies do to support new parents? Congratulate them. This is an exciting life event. We want folks to share good news at work. Be overt about the challenges. This time will be difficult. But it will pass. And it will be worth the investment. Be supportive about taking time off. Encourage both men AND women to take time to bond with their baby at home. Allow flexibility—not as the only solution, but as part of a toolkit for both women and men. Workers who choose when and where their job gets done report a higher satisfaction rate and lower turnover than those who must remain at their desks from 9 to 5. Want to be a family-friendly leader of your industry? Want to make a name for your organization as the place to build a career as a working parent Contact Orange Grove Consulting today. At Orange Grove Consulting, we have experience helping organizations create conversations about work life balance for retention. Review our How to Retain New Mothers Workshop — for Managers, or email Celina Guerrero, Director, Business Development at celina@orangegroveconsulting.com for more information.